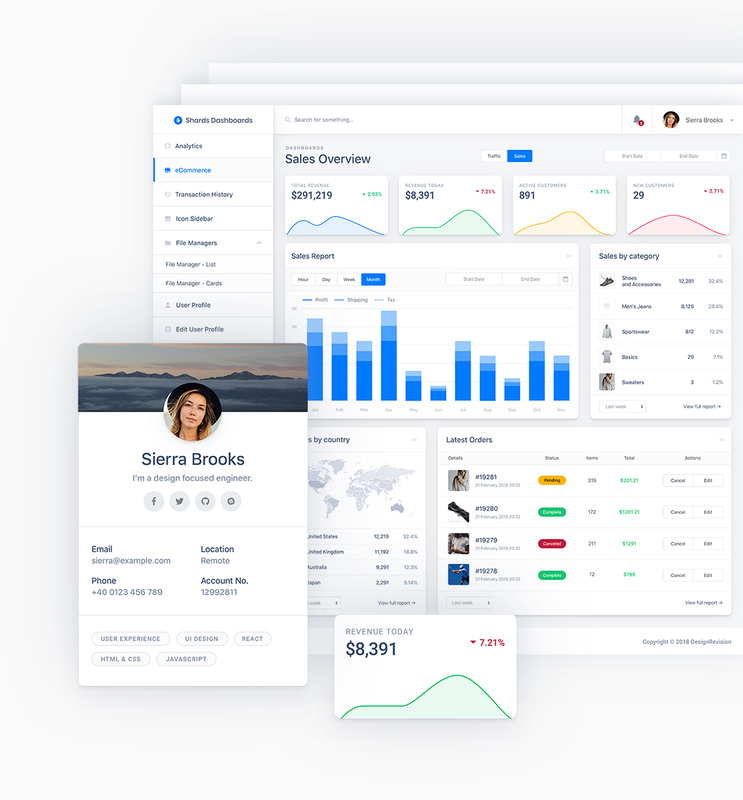 A premium collection of 21 hand-crafted templates and lots of custom components for rapid admin dashboard development. * All purchase options are billed every year for support and updates and the included content may vary based on your license selection. You have the option to cancel your subscription at any time. All templates are fully responsive and able to adapt and reflow their layout to any screen size. The entire package is well documented so you can start building beautiful admin dashboards as soon as possible. Feeling stuck? Don’t worry! Just open a new ticket and we’ll assist you as soon as possible. The package ships with 21 custom templates and dozens of components built to meet almost any type of admin dashboard requirements. 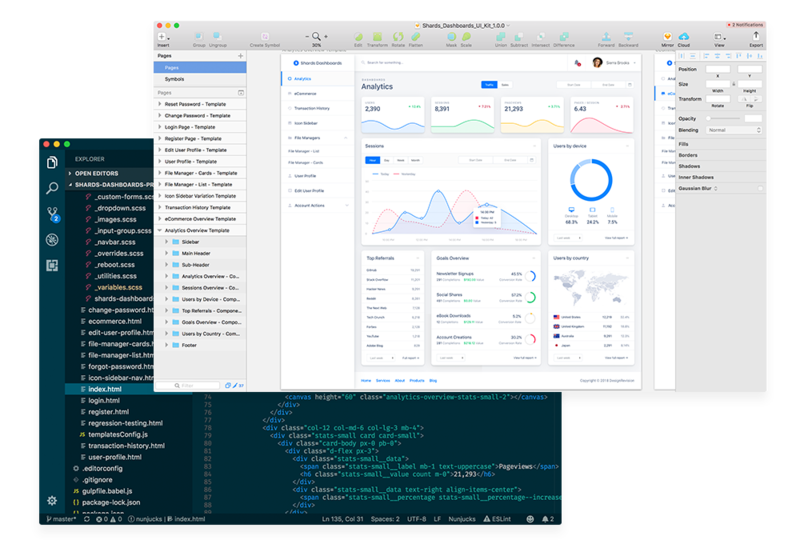 Right out of the box the kit provides support for multiple 3rd-party plugins including Chart.js, DataTables, Dropzone.js, FullCalendar and many more. Icons from both Material and Font Awesome packs (1500+) are supported by default and can be placed in almost any element without the need of adjusting the kit. We've included the original Sketch* and SCSS files so you can get your hands dirty, by creating new layouts or even customizing and recompiling the kit to fit your needs. * The Sketch files are included only in the Standard Plus and Extended license packages. We offer a 30 Day Money Back Guarantee if you’re not satisfied with our product. No questions asked! 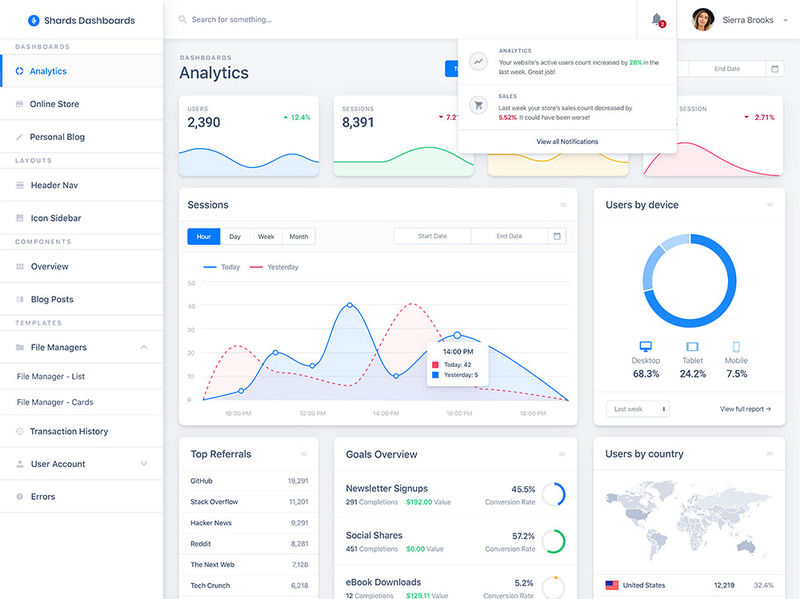 This is probably the best admin dashboard template pack I’ve stumbled upon. I used to hate Bootstrap but this template pack made me forget all that. It’s beautiful and all components fall perfectly into place. I simply love it! Congrats on the amazing job Catalin! Can’t wait to see what other templates you’ll add.